Yoruba people of south western Nigeria are one of the major tribes in Nigeria. 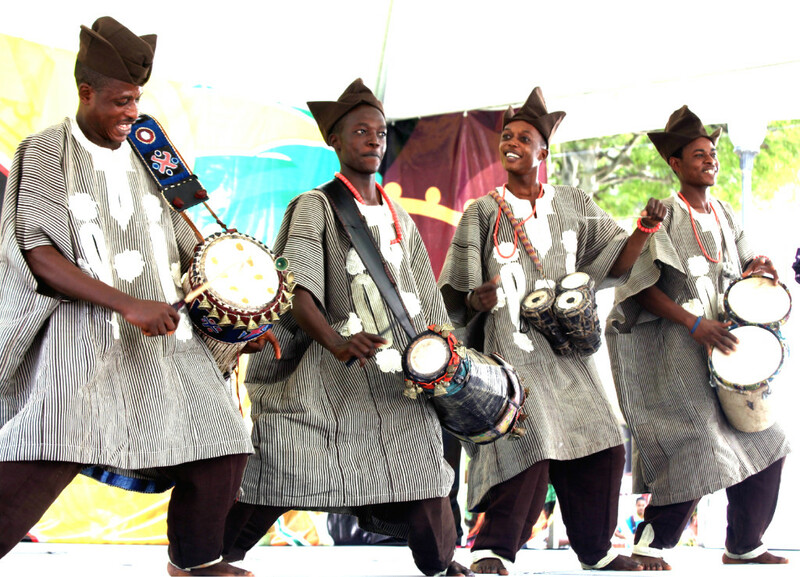 The Yoruba people has a very rich and unique cultural heritage with lots of cultural festivals. For travelers who wish to explore Yoruba land, below are list of 7 most popular festivals celebrated in Yoruba land. The Eyo Festival, also known as the Adamu Orisha Play, is a Nigerian festival unique to the people of Lagos state. The 24 days festival features a major parade with participants dressed in white flowing robes that cover their entire body, top hats and sticks; and masquerades referred to as “Eyo” as well as costumed dancers. The festival sweeps through the entire city with focus on the Lagos Island and attracts a large number of tourists from around the world. The Osun-Osgogbo festival is celebrated in the month of August at the grove. Yearly, the festival attracts thousands of Osun worshippers, spectators and tourists from all walks of life. For the people of Osogbo Land, August is a month of celebration, traditional cleansing of the city and cultural reunion of the people with their ancestors and founders of the Osogbo Kingdom. The Osun-Osogbo Festival is a two-week-long programme. It starts with the traditional cleansing of the town called ‘Iwopopo’, which is followed in three days by the lighting of the 500-year-old sixteen-point lamp called ‘Ina Olojumerindinlogun’. Sango Festival is an annual festival in Nigeria held among the Yoruba people in honour of Sango, a thunder and fire deity who was a warrior and the third king of the Oyo Empire after succeeding Ajaka his elder brother. Renamed in 2013 to World Sango Festival by the government of Oyo State, the festival is usually held in August at the palace of the Alaafin of Oyoand. Ojude Oba is a popular Yoruba annual festival in Ijebu Ode, Ogun State, Nigeria. The festival always holds on the third day after Eid al-Kabir. Ojude Oba Festival is a festival that showcases history, legends, conquest, and diversity. During the festival, a majority of indigenes of jebu Ode travel from far and near to pay homage to their king. The Igogo Festival is a Yoruba festival which takes place every year in Owo, Ondo State, Nigeria. The festival is held in honour of Queen Orosen, a goddess and a mythical wife of ancient Oluwo of Iwo, Olowo Rerengejen. The festival takes place every year in the month of September and lasts for seventeen days. During the festival celebration, the king of Owo and the high chiefs all dress like women wearing beaded gowns, coral beads, head gears and caps with their hair plaited. The Igogo Festival is also a time for the celebration of new yams. Olojo Festival is an annual festival in Ile-Ife town in Osun State. The festival is a celebration of Ogun the god of Iron. Olojo festival day which can be literally translated as the “Owner of the day”, signifies the day of the year that the Olodumare (creator of the universe) has specially blessed. The Ooni, the king of Ile-Ife appears in public on this day with the Are Crown after several days of being in seclusion. On this day, the Ooni will visit different shrines to offer prayers for the peace in Yoruba lands. Oro Festival is a festival celebrated in almost all Yoruba settlements and towns in Nigeria. The festival is an annual one with only male descendants of the paternal natives of the town where the festival is taking place. During the Oro festival, non-natives and females stay indoors because it is believed that it is a taboo for a woman or anyone who is not allowed to participate in the festival to see the Oro. Africa’s Highest Mountain Peak. Mount Kilimanjaro. Thank you for writing about this! I’m always intrigued by different types of cultures and this didn’t disappoint. I really enjoyed reading about the ceremony that is about the deities. Wow so cool to learn about this cultures own uniqueness. It would be cool to participate in something like one of these festivals. love the colors of the Sango festival.. those bright fire colors are my favorite. your descriptions take us to yoruba.. So interesting, I’m from the U.K. & haven’t experienced festivals like this before, it looks amazing! I love all the cultures and traditions of each of these festivals! The Ojude Oba looks like it has quite the draw to pay their respects to the king. What a great post, thank you so much for sharing. I love exploring other countries and learning about their cultures and celebrations. These festivals look like they would have been amazing to experience! It’s so interesting to see the different festivals that take place around the world. I’d love to travel more to experience these! I have never heard of these festivals! I am always fascinated by different cultures and their traditions. Looks very interesting! Wow all of these traditions are so rich in culture. The Sango festival looks super cool! I would definitely like to experience that one! Oh wow this is a fantastic post indeed. The festivals look amazing and so enriched in culture. These festivals seem so interesting and definitely worth visiting. I had never heard of them before. What an informing article! I’ve never heard of these festivals before. I would love to visit and experience them all. Very cool looking festivals. I have never heard of them. Never been to Nigeria. I have many friends from this country and I always tell them that they have to take me there. Thanks for the informative post.